Wes has lived in the Reno/Sparks area his entire life. 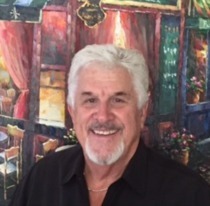 Wes has experience in many aspects of the real estate industry from residential building and remodeling as a contractor to selling real estate franchises for a national real estate company. Over the last twenty years, Wes has focused on assisting a variety of clients (investors, first time home buyers, etc) who are buying or selling residential real estate. Wes and his wife have raised three children who all live and work in the Reno area. Wes and his wife are blessed with 7 grandchildren. Wes enjoys golfing, playing drums, and hanging out with my best friend, my wife!